NASA officials said then that the White House’s fiscal year 2020 budget request would provide funding to maintain a schedule for a landing by humans on the moon by 2028. 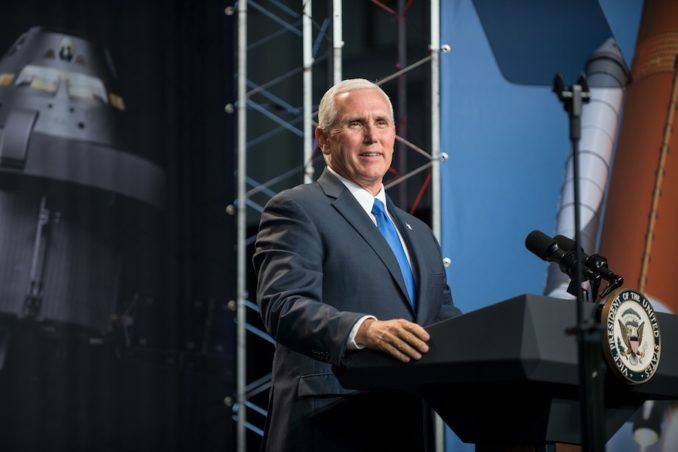 Pence’s statements Tuesday did not mention the budget request, details on how much an accelerating lunar landing timeline might cost, or how the Gateway fits into the plan. Much of the delays in the Space Launch System have stemmed from difficulties assembling the rocket’s Boeing-built core stage, which consists, from top to bottom, of a liquid oxygen tank, a liquid hydrogen tank, and an engine compartment holding four RS-25 main engines left over from the space shuttle program. 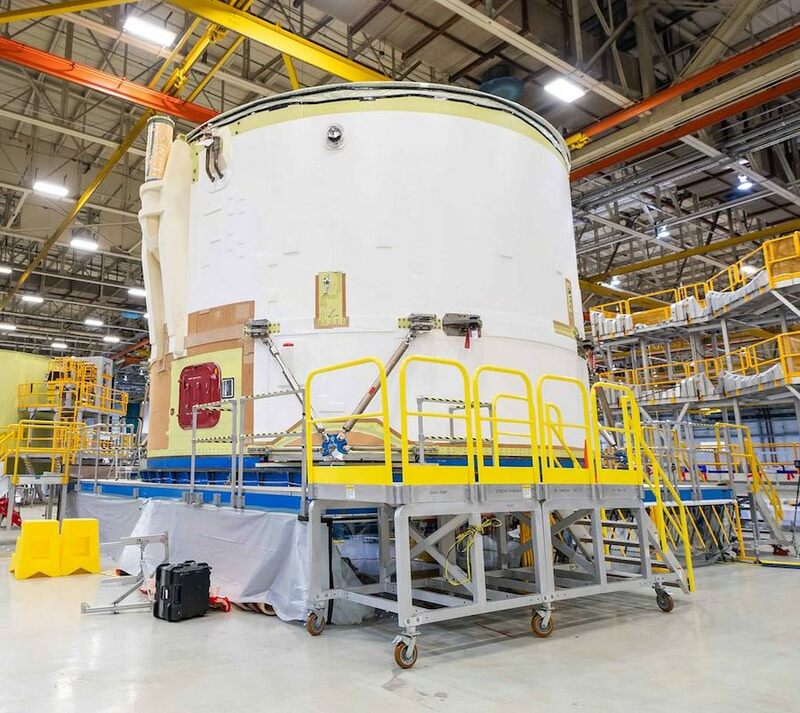 A report in October by NASA’s inspector general criticized the agency and Boeing for cost and schedule overruns on the 212-foot-tall (64-meter) SLS core stage, which has encountered development problems that previously delayed the first SLS launch date from late 2018 to mid-2020. Two side-mounted solid-fueled boosters built by Northrop Grumman Innovation Systems, also derived from shuttle-era designs, will provide additional power at liftoff, giving the SLS around 8.8 million pounds of thrust, 15 percent more than the Saturn 5 rocket used in the Apollo moon program. 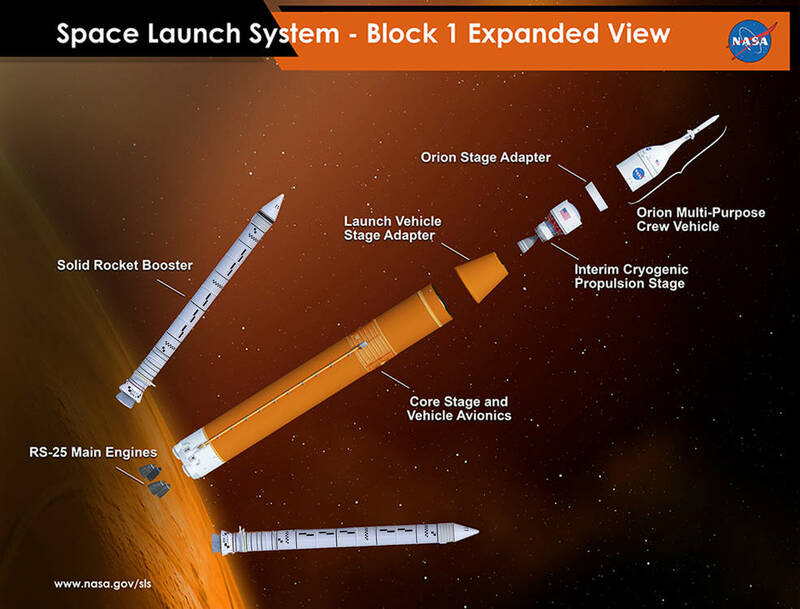 The 32-story Block 1 version of the SLS, as its initial configuration is designated, will also have an upper stage derived from ULA’s Delta 4 rocket, with a single Aerojet Rocketdyne RL10 engine. Bridenstine said that the Exploration Upper Stage, which would be deferred if the Trump administration’s budget request is enacted, is vital to returning humans to the moon for the first time since 1972. “When we talk about being able to co-manifest payloads, we talk about putting humans on a spacecraft with habitation modules at the same time and delivering to the moon all at once, we’re going to need an Exploration Upper Stage, and we’re going to need that probably early, by EM-3, the third launch of the Space Launch System,” Bridenstine said. “There’s a lot to achieve. An SLS/Orion flight around the moon with astronauts on-board would follow by 2022. Bridenstine did not provide details about how engineers could make up time on the Space Launch System, but Boeing said in a statement that managers now plan to shuffle steps in integrating the core stage at NASA’s Michoud Assembly Facility in New Orleans, while technicians continue working on the engine section, which has caused many of the recent SLS delays. “We have worked with NASA to design a final assembly production plan that allows the engine section to be worked simultaneously as we join the aft and forward sections of the rocket,” said Patricia Soloveichik, a Boeing spokesperson. “Previously, we were awaiting completion of the engine section, by far the most complex element of the rocket. Under the new plan, we can work both sections concurrently and mate the engine section horizontally, enabling continued processing of all iterations of the rocket. 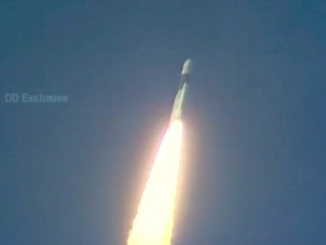 “In addition, we have streamlined our processes to the essentials for safety and quality, allowing us to move forward with considerable agility and speed,” Soloveichik said in a statement released to Spaceflight Now. NASA said earlier this month that workers have completed most of the outfitting of the core stage engine section, which serves as the structural mounting point for the four main engines, and routes numerous propellant, power and data connections. The engine section contains more than 500 sensors and 18 miles of cables, according to NASA. Workers attached cork thermal insulation to the outside of the propulsion module before moving it to a different part of the sprawling Michoud factory for further testing and the addition of a boat-tail fairing structure to the bottom of the engine section. Once the core stage is fully built, ground teams planned to transport the rocket by barge to NASA’s Stennis Space Center in Mississippi for an eight-minute test-firing of all four engines, the ship the stage to the Kennedy Space Center in Florida for launch preparations. 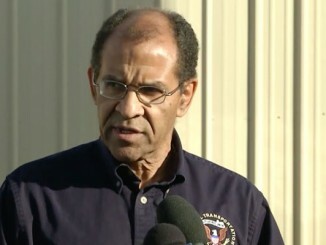 Officials from NASA and Boeing did not discuss any changes to that plan Tuesday. Lawmakers led by Sen. Richard Shelby, R-Alabama, chairman of the powerful Senate Appropriations Committee, have long supported the Space Launch System, which NASA estimates will cost around $1 billion per year to operate once development is completed. Congress approved $2.15 billion for the Space Launch System program in fiscal year 2019, while the Trump administration’s budget request would slash that by $375 million to around $1.78 billion. Shelby said earlier this month that, in his role as chairman of the appropriations committee, he has “more than a passing interest in what NASA does,” according to a report in Space News. But Pence reiterated that NASA and Boeing must pick up the pace with the Space Launch System if the rocket program is going to survive. 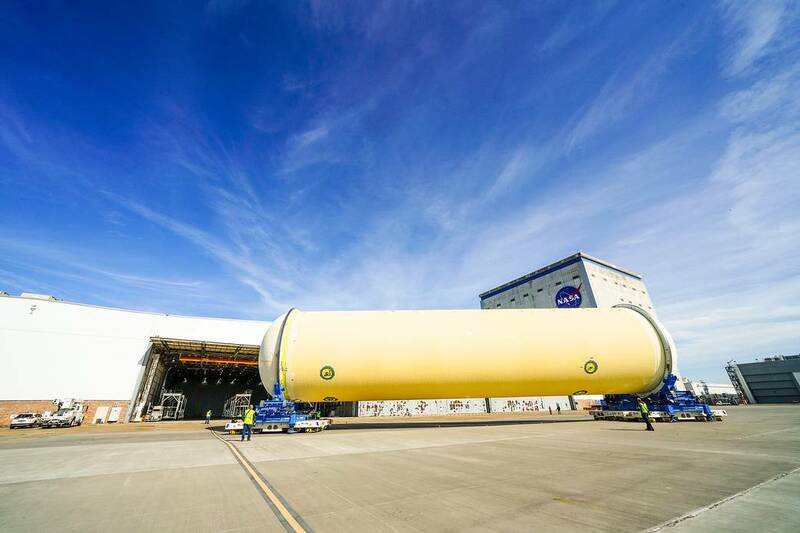 “Boeing and NASA have implemented changes in both processes and technologies to accelerate production, without sacrificing safety or quality, and we remain on schedule to deliver the first SLS core stage to NASA by the end of this year,” Boeing said. 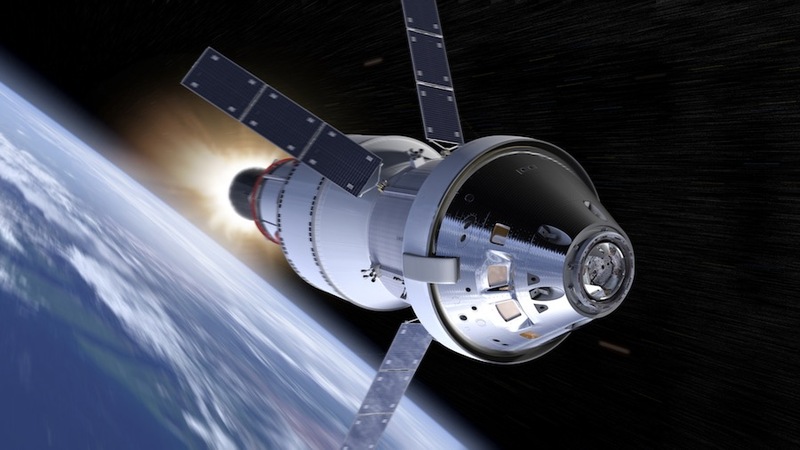 Lockheed Martin, prime contractor for NASA’s Orion crew capsule, said in a statement that its engineers have studied what an accelerated lunar landing schedule would require. “With the right level of commitment, urgency and resources, humans could walk on the surface by 2024,” the company said. SpaceX’s Falcon Heavy rocket is the most powerful launcher currently in service, but it is not capable of sending the Orion spacecraft toward the moon. Musk’s company is also developing a new reusable vehicle for human space travel, with an upper segment known as the Starship and a first stage nicknamed the Super Heavy. The Starship and Super Heavy would be able to lift more cargo into space than the SLS, and Musk tweeted Tuesday he thinks the Starship could be ready to carry humans to the moon’s surface within five years. As currently conceived, the Starship and Super Heavy would be a launch vehicle, an interplanetary transport vehicle and lander rolled into one. SpaceX has constructed a prototype of the Starship, called the “hopper,” for vertical takeoff and landing tests at the company’s facility near Brownsville, Texas. NASA’s Space Launch System was born after the Obama administration canceled the over-budget and behind-schedule Constellation moon landing program in 2011. The Obama White House and Congress agreed to salvage the Orion spacecraft from the Constellation program, and retargeted NASA’s human deep space exploration effort toward Mars. NASA still has a long-term objective of sending astronauts to Mars, but plans to focus on the moon first. The space agency is just starting work on vehicles to get to the lunar surface, beginning with an initiative to buy rides on new commercial landers. None of the commercial landers have flown in space yet, but NASA hopes to seed the privately-managed lander concepts, similar to the way the government spurred new commercial cargo and crew transport ships for the International Space Station. The landing site for astronauts’ return to the moon will be near the lunar south pole, Pence said, where scientists have found evidence of water ice on the the floors of craters in permanent shadow. The ice could be harvested and converted into rocket fuel, creating a lunar refueling depot for eventual missions to Mars. Pence referenced the recent success of China’s robotic Chang’e 4 probe, which achieved the first controlled landing on the far side of the moon in January. “What we need now is urgency,” Pence said. “Make no mistake about it, we’re in a space race today, just as we were in the 1960s, and the stakes are even higher. “It’s not just competition against our adversaries, we’re also racing against our worst enemy: complacency,” Pence said. But it remains an open question how the Trump administration plans to fund the accelerated lunar landing effort. 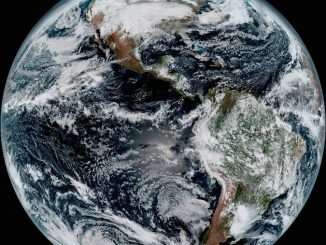 Bridenstine is scheduled to testify in a hearing Wednesday held by the House Appropriations Committee panel responsible for drafting NASA’s budget.